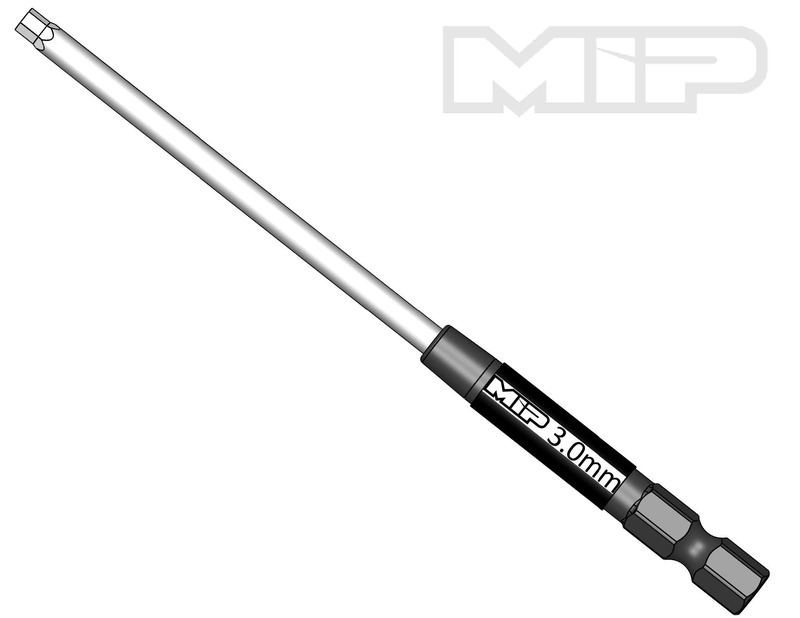 MIP stands behind every wrench and hex driver! MIP quality assurance promises that all wrenches and hex drivers are free from defects in workmanship or manufacturing upon opening of the packaging. Defective parts that have been rendered defective straight from the packaging will be replaced at no charge*. 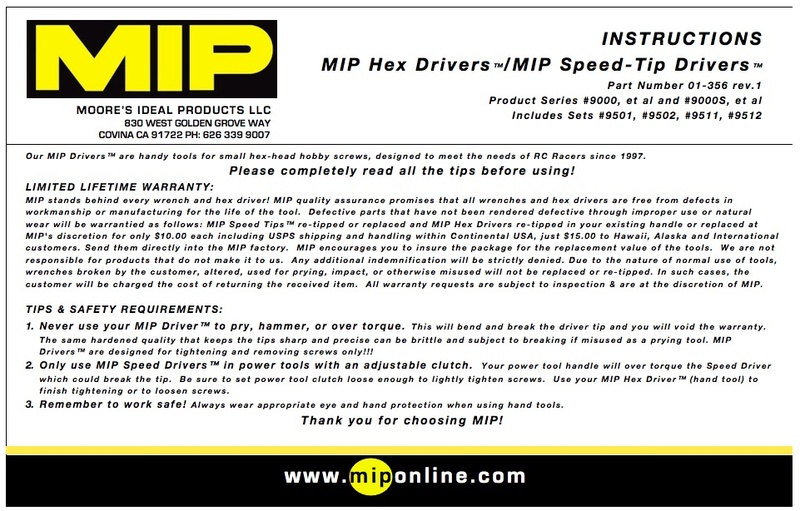 An MIP Hex Wrench or Speed Tip that has been used improperly or is more than one-year-old* is eligible for replacement at MIP's discretion for a fee of $10.00 each including USPS shipping and handling within Continental USA; International/Hawaii/Alaska just $15.00. Before sending the wrench into MIP for repair/replacement, contact support(at)miponline.com and speak to customer service to see if your wrench is eligible for warranty. Upon shipment of product, be aware that MIP is not responsible for products that do not make it to us. Any additional indemnification will be strictly denied. Due to the nature of normal use of tools, wrenches broken by the customer under unordinary conditions, altered, used for prying, impact, or otherwise misused will not be replaced. In such cases, the customer will be charged for the cost of returning the received item.